Higher Learning | Features | Kids VT - small people, big ideas! It's early afternoon in Waitsfield, and the gray skies, barren trees and sagging pumpkins are all foreshadowing winter. Inside Geordy Richards' classroom, 14-year-old Sophia Meynard looks like any other high school student: gray hoodie, black jeans, neon blue and orange Nikes. On her desk are loose-leaf sheets of algebra homework. The typical teenager stuff ends there, though. While most kids her age start their day in homeroom, Meynard begins with a two-hour strength-training workout in the gym, followed by classes, soccer and a Godspell rehearsal. Once Sugarbush is fully coated in snow, she'll be skiing all morning, studying all afternoon and competing every weekend. The Boston native is one of 107 students at Green Mountain Valley School, a full-time, accredited high school for aspiring ski racers. The Vermont ski school has turned out dozens of Olympians and U.S. Ski Team members since it was founded in 1973, including alpine greats Daron Rahlves, Doug Lewis and A.J. Kitt. Along with full-year competitors Burke Mountain Academy, Killington Mountain School and the Stratton Mountain School, GMVS has contributed to Vermont's reputation as an alpine training ground. All four schools benefit from easy access to challenging terrain and top-tier coaches, and they facilitate every opportunity for their speed-demon students to compete, even when it means catching a flight to Colorado. 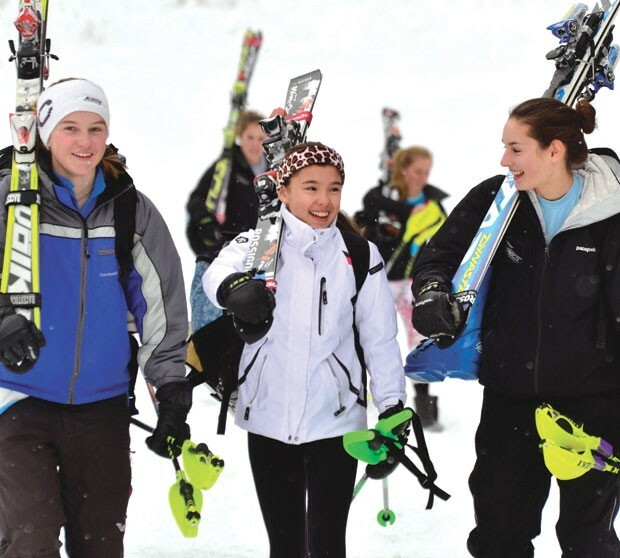 Vermont's other ski schools — Okemo Mountain School, Mount Snow Academy and Mt. Mansfield Winter Academy — offer less intensive variations on the theme: Their five-month winter-term programs allow student-athletes to begin and end the school year at home. The kids complete their course work from November to March under supervision from the schools' academic staff. Killington and Stratton also offer a five-month option for high-schoolers; GMVS and Burke offer one for students in the 8th and 9th grades. And it's not all about going downhill anymore. Nordic skiing is among the athletic options at Burke, GMVS and Stratton. Killington and Mt. Snow offer instruction in freeskiing. In 1998, the North American Hockey Academy — just up the road from Mt. Mansfield — launched a five-month winter program for female ice hockey players in grades 9 through 12. Administrators are quick to point out that these schools aren't just about sports: They also strive to provide a solid academic foundation. GMVS is a springboard for acceptance at the country's top colleges, with student-athletes from the class of 2012 now studying at Dartmouth, Williams, Middlebury and other prestigious colleges. But you won't hear anyone downplaying athletics, either. Sport is so woven into the educational fabric that "it is not considered an extracurricular activity," says Tom Sell, Killington Mountain School's alpine director. "Rather, it is one of the fundamental blocks that build a student's experience." A typical school day at a winter-sport academy changes according to the season. 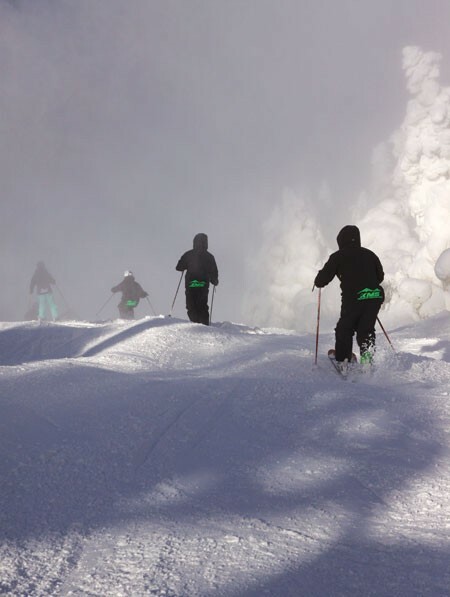 At Killington, for example, students do more course work in both the fall and spring to make up for time spent traveling and skiing in the winter. GMVS students put on a theatrical production in the fall. Back in late October, a visitor could hear them singing show tunes between classes. School days at GMVS start with a morning class, after which students train in the gym, or, in the winter, take a school van to the slopes. The alpine students head to Mt. Ellen, the nordic skiers to Ole's Cross Country Ski Center, Trapp Family Lodge or the Ethan Allen Biathlon center. "I love how I can work on skiing during the school days," says Meynard. When they're done training, they return for lunch and the rest of their academic classes. When GMVS students travel to competitions — or for stints at the school's training facilities in Austria or Chile — they take their homework, but not their teachers, with them. There are no structured lessons while they're away from school. While in Vermont, though, smaller class sizes make for more intimate and intense academics. Teachers make sure students don't fall behind, reminding them about assignments and arranging for make-up tests. SAT scores and GPAs are just as important as the score of a hockey game or the time of a race. At the end of the day, students get a couple hours of free time, though they may need it to finish homework. Still, NAHA senior Annie Pankowski reports that "There's a lot of movie watching, snowball fights, card games and instrument playing" on her campus. The combination of intense athletics and academics creates a high-pressure environment. But a winter-sport academy can feel like a relief to kids accustomed to missing classes for ski or hockey tournaments and having to explain the absences to teachers and friends. Amanda Steffey of Lyme, N.H. struggled with that before deciding to attend Stratton, where her twin brother George is also a student. "It was hard to balance school and then skiing in my free time," she says. "Stratton has showed me that my energy for ski racing and getting a great education could all be balanced." Balance is a word that comes up a lot at these schools; students who study at winter-sport academies have to juggle multiple responsibilities. To be successful, they have to be self-motivated. Pankowski points out that when she's at school, she's the one responsible for making sure her work gets done. "When you're physically tired from a long weekend, it's hard to push yourself," she admits. "It's also challenging because we are really forced to become independent. Mom and Dad aren't here to do your laundry and make sure you do your homework." Back home, parents have their own challenges. Though financial aid is widely available at Vermont's winter-sport academies, tuition can be more than $40,000 per year for boarding students; local day students pay a little less, but not much. There's separation anxiety, too. "Packing your 14-, 15- and 16-year-olds and sending them off for five months isn't easy," says Annie's father, Rich Pankowski. Still, he says, "Reaching for a dream and catching it after self-sacrifice and hard work is a tremendous life lesson ... The independence and self-reliance that come with going away to school have a very big upside in rounding out an education." Carolyn Steffey, mother of twins Amanda and George, says the rewards of a specialized school like Stratton can be intangible. "They are both extremely disciplined kids," she says. 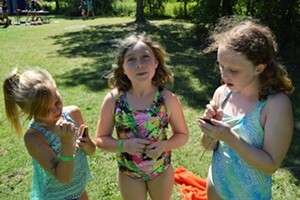 "They've learned how to manage the homework, even when they are traveling; they have learned how to do their own laundry, pack their own ski bags, take care of their equipment — I really feel they are years above their age level in terms of maturity." It's not a medal, but for teenagers on the cusp of adulthood, that may be as good as gold. Hannah Teter, '06: gold medalist in the halfpipe at the 2006 Olympic Winter Games; silver medalist in 2010; inspired Ben & Jerry's flavor "Maple Blondie"